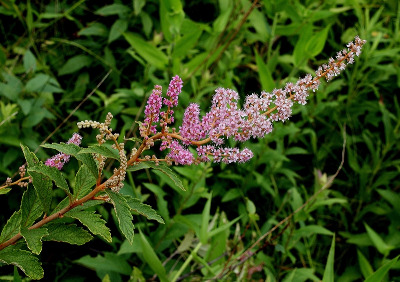 Bogs, tamarack swamps, meadows, sandy-peaty shores and dried lake-beds, marshes, borders of ponds; often with S. alba, but relatively retricted to acidic soils, and sometimes in drier settings. The flowers are normally an attractive pink. A white-flowered form is known but has apparently not yet been found in Michigan; the tomentose leaves would readily distinguish it from S. alba. The tomentum on the undersides of the leaves is yellowish or brownish. MICHIGAN FLORA ONLINE. A. A. Reznicek, E. G. Voss, & B. S. Walters. February 2011. University of Michigan. Web. 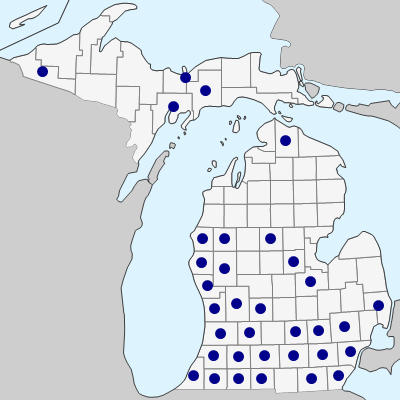 April 21, 2019. https://michiganflora.net/species.aspx?id=2575.